The Hexa footstrap offers a wide range of quick and easy adjustments of the footstrap size, adjustable on four points for the best possible fit. 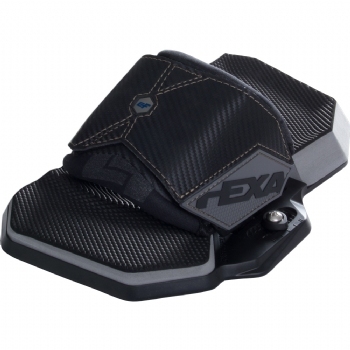 The range of adjustability also allows for comfortable use of neoprene boots. 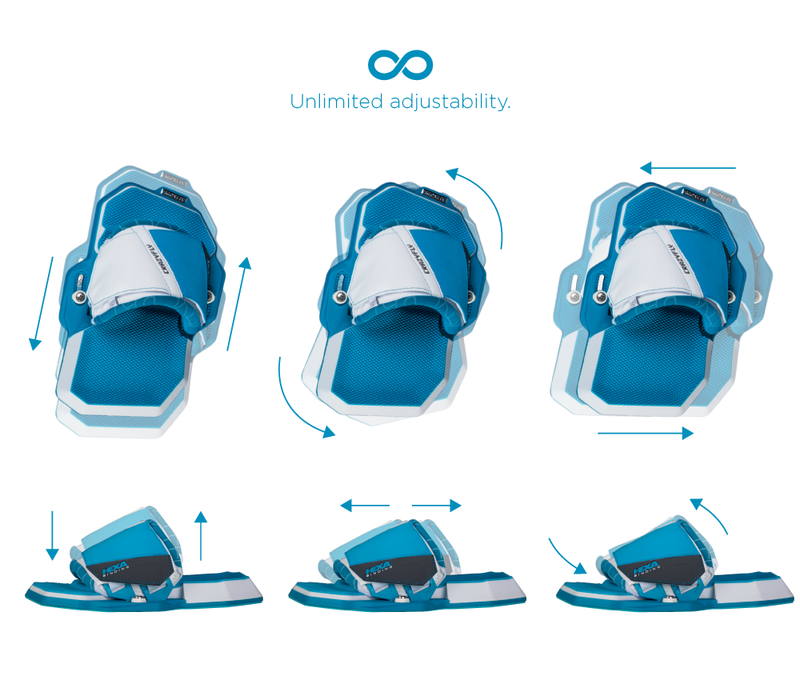 The footstrap position can also be adjusted via the Quattro Stix, which allow the footstrap to be moved towards the heel or towards the toes. 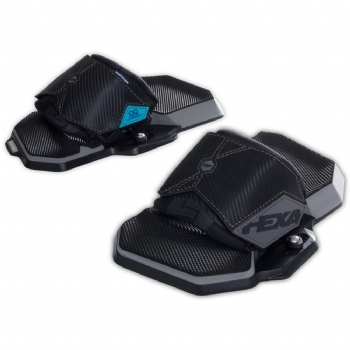 In addition to all the adjustments, there is also a Heel Suspension Infix with triple density EVA foam for the ulimate in comfort and durability. Our designers were hard at work to create the best possible ergonomic fit and hand picked premium materials for long lasting durability and luxurious comfort. The outdoor performance leather from Italy on Hexa footstraps is extremely resistant to abrasion, sun rays and salt water. On top of premium materials, the Hexa Binding is made in Europe in the CrazyFly factory. The Hexa Binding ? unlimited adjustments and luxurious comfort.